After uploading the website contents or when the migration of your website is finished, you need to update the new nameservers at the domain registrar end. Your domain will be pointed to our servers when the nameserver change takes effect. It may take up to 24 hours to finish the propagation of any DNS change. So what would be the nameservers you need to set for your domains. In this guide, we will be discussing how to add or manage name servers with InterServer. The shared hosting comprises three services, The STANDARD WEB HOSTING, ASP.NET WEB HOSTING and MANAGED WORDPRESS. You can see them on the WEB HOSTING page on our website. For this products, the nameservers need to be set are displayed on the product page itself. 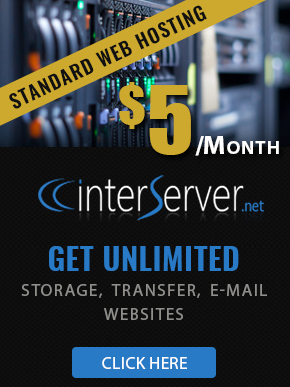 To view the nameservers, you need to login to the portal at https://my.interserver.net and go to Web Hosting. 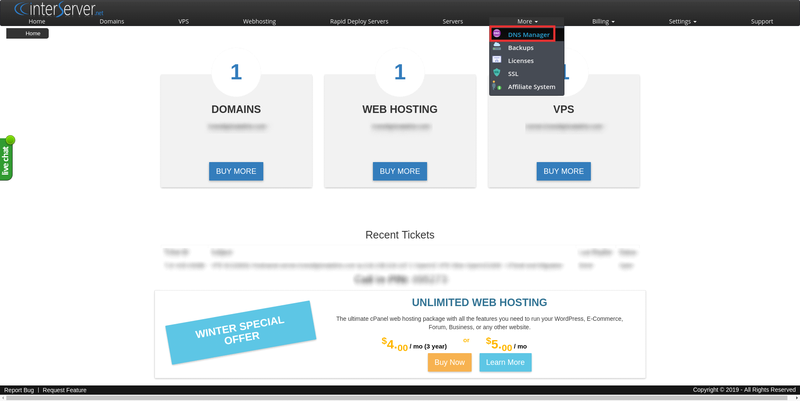 On the next page, you can see the list of your web hosting services. To view the web hosting service, you need to click on the “Gear Icon” at the right end of each service. The next page will be the product page of the selected service. In the page, you can see a title Default DNS Servers. The nameservers of the service will be displayed there. You need to update those nameservers at the domain registrar end. Please refer the below screen shot for better awareness. In the VPS & Cloud Hosting, you can use our cdns nameservers. The cdns nameservers are listed below. When using these nameservers, you need to add the hostname and IP address on the DNS manager from your portal. It is described below. Screenshots are attached for reference. 2) List out the options under the “More” menu by clicking on the same menu. 3) Select the option “DNS Manager” and you will redirected to a new page. 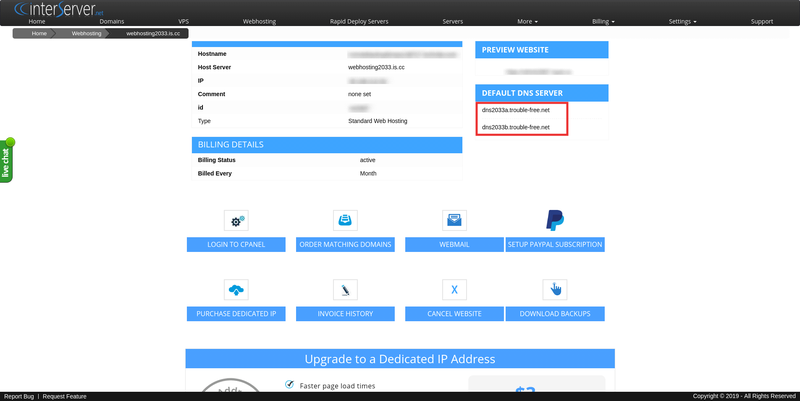 4) In DNS Manager, you can see two fields “Domain name” and “IP Address”. You need to add the domain name and IP address of the server there. This will create a cPanel/DirectAdmin compatible DNS record. A screenshot is added below. This is how you can set the nameservers. The cdns nameservers can be used for all services, including shared hosting. You need to add an entry in DNS Manager if you use cdns nameservers. How to Register Nameserver in InterServer?